NEW YORK -- Joel Embiid has endured too much misery in the NBA to miss one of the fun days on the schedule. So as soon as he knew his back felt up to it, he couldn't wait to get on the court for his first Christmas Day game. "Especially after what we've been through the past four years, I was so excited to play tonight because we've been through so much losing," Embiid said. "And to be able to be one of the few teams in our league that can play on this day, it just shows you how much we've improved." "I respect the guy a lot because that guy didn't play three, four years and coming back (at the) level he's playing right now," Kanter said of Embiid. "So it's cool to play against, go against a guy like that." 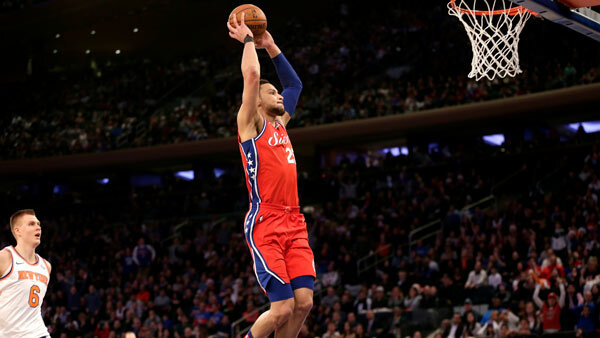 Redick, who missed the last game with right hamstring tightness, helped the 76ers pull away from an 89-all tie midway through the fourth quarter. He's played in Christmas games before - and made clear again he's not a fan of them - and he thought his young teammates responded well to their first opportunity. "There's a tendency to try to put on a show instead of just going out and competing, and I think we did a great job of just going out and competing," Redick said. 76ers: Coach Brett Brown called Embiid a "borrowed stud" who they get to "inherit" when he is able to play. "He doesn't practice and he comes in and plays games and we're trying to grow him into a situation where he is a normal part of a team," Brown said. ... The Sixers franchise is 17-13 on Christmas.